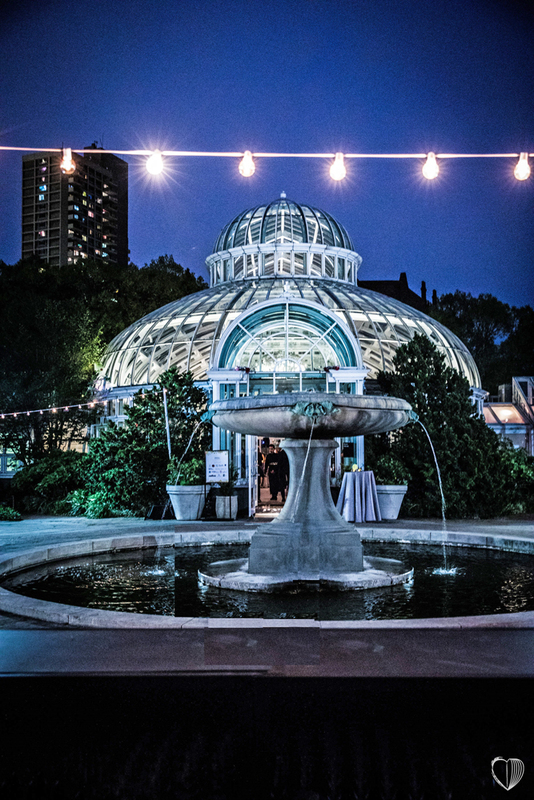 When you host your wedding at Brooklyn Botanic Garden, you will be treated with a gorgeous Garden setting for your ceremony, an outdoor terrace for cocktails, and reception spaces at the exquisite glass-walled Palm House or the stunning new, ecologically sustainable Atrium. 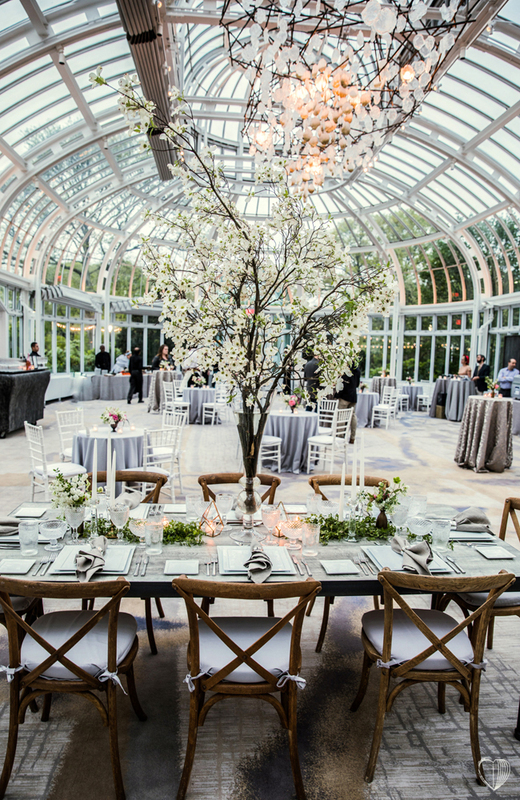 For your special day at the Palm House, you and your guests will have the experience of a lifetime. 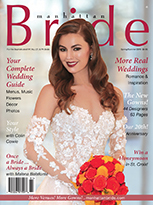 Weddings and events at the Palm House are catered exclusively by Patina Restaurant Group, which manages restaurants and catering facilities at some of America’s most iconic venues, including Lincoln Center, Rockefeller Center, Grand Central Terminal, and the Los Angeles County Museum of Art. 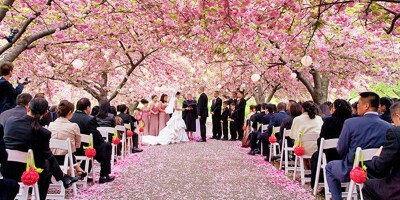 The Palm House accommodates up to 275 seated guests. 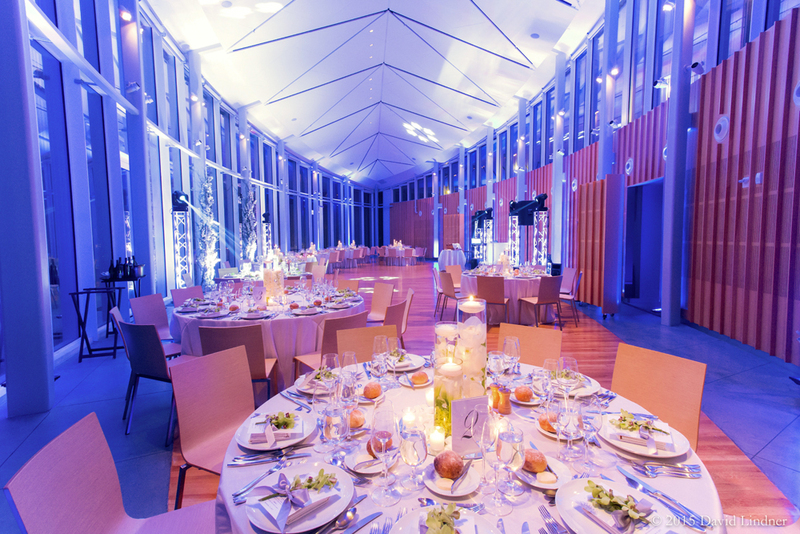 For more intimate ceremonies and receptions, the Lillian and Amy Goldman Atrium accommodates up to 130 guests within its stunning event space. 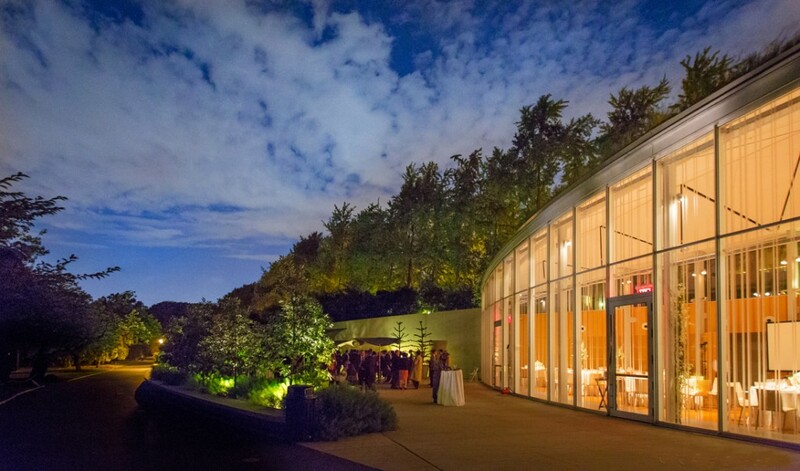 Beneath a lovely living roof of native grasses and wildflowers, the sinuous floor-to-ceiling glass walls look out onto the Garden's Cherry Esplanade and an outdoor terrace, offering an intimate, luxurious space for weddings.